A-Kerr's Ima Lookin' Even Better "Stephen" with Chase Kerr! Stephen has pattern, clarity and type, plus an unmatched personality! Retired in 2017. 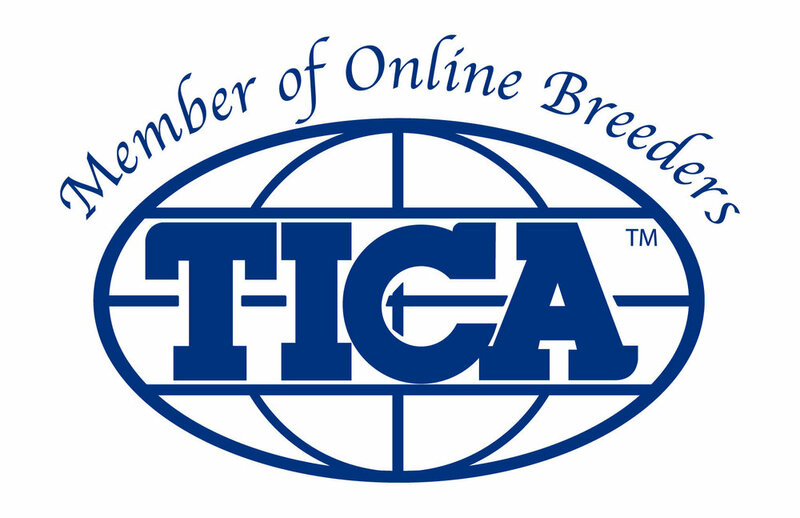 Studs are selected carefully and tested rigorously to make sure only the best genetics are passed from one generation to the next. A-Kerr's tests for HCM (cardiologist, heart disease certification) PK-Deficiency (blood disorder) Eye Certification (ophthalmologist) PRA (eye screen through DNA), Tri-trichomonas (intestinal) and a wide range of other tests performed either by specialists, veterinarian, or with DNA. None of our studs carry either PK-def or PRA-b at this point. IN THE BEST INTEREST OF OUR CATS WE DO NOT OFFER OUTSIDE STUD SERVICE. At A-Kerr's studs are handled extensively (usually through dragging them to the multiple cat shows and other cat friendly opportunities) and worked with to make sure they have the temperament wanted in the future generations. Studs are person oriented, crave interaction, and affection. Confident, sweet boys seem to make my friendliest babies. All of my boys are exceptionally friendly and love people and of course, the girls! Each male that is welcomed into the A-Kerr's program is done with intention, taking into account the females that are here and what I wish to work towards. For me, I strive for affectionate personalities, paired with amazing patterns and wild type. My cats are selected to replicate the small jungle dwelling cats that so fascinate people around the world. The quality of A-Kerr's cats speak for themselves. 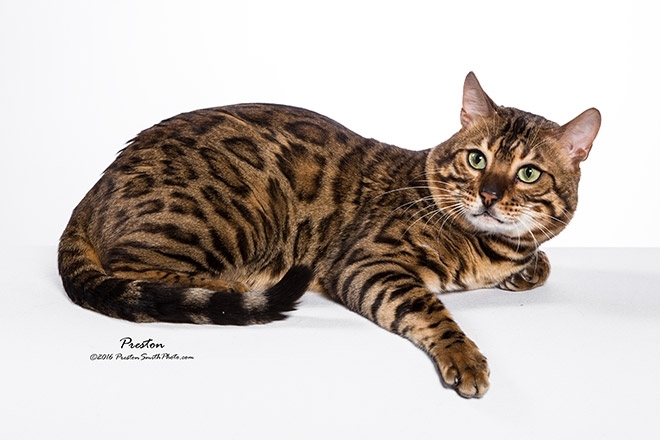 Award winning, the 2013 Bengal cat of the Year was bred and raised at A-Kerr's. These cats win awards in the hallways of your home and at shows. Bred to the standard of excellence. Marbelous Seriously Dude of A-Kerr's has brought the whited underside and lovely type to the program.